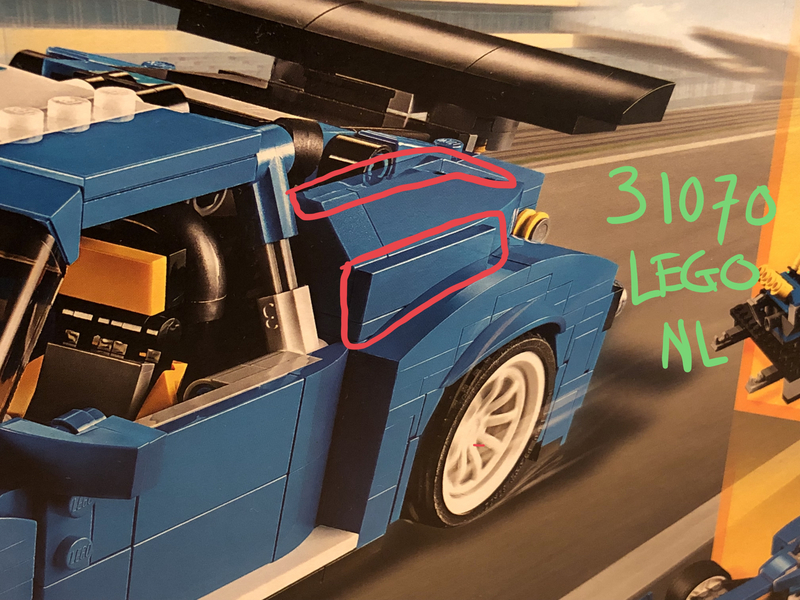 31070 Turbo Track Racer - Parts missing? I recently bought 31070 Turbo Track Racer. Just completed the build. But there are parts missing (below). First time this happened to me. Missing parts are on the photo on the box, in the back of the manual and in the building steps as well. So I checked Jang’s review video of this set. And his build is without these parts. 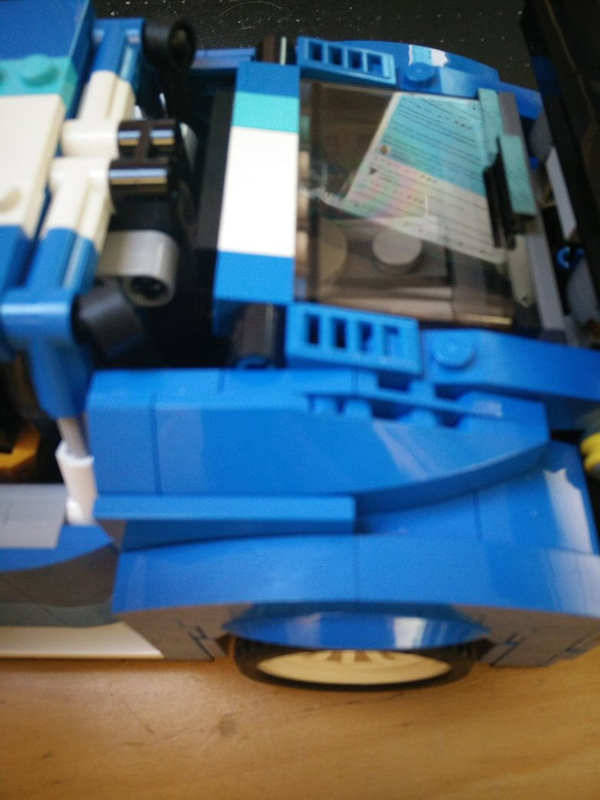 So I check Brickset, the parts are missing there as well. What’s going on? Is there a difference between EU and US sets? Did I get US parts in an EU box? Wow! That's really interesting! I don't have an answer, but would sure like to know what's going on! That's definitely strange. Have you tried contacting customer services and see what they say? It would be good to know what they make of it. ^ Correction, I somehow managed to misremember - my box art is tiled :) Just starting the build now! ... aaand confirmed, 6 missing bricks. Interestingly, the 1x4 tile is also not on the "missing pieces" parts list at Bricks&Pieces! I've just built the one I bought in Denmark in the summer. Mine is the 'missing parts' version without 1x4 tile and plates at the back of the slope, the same as Jang's. I would suggest it's a last minute design improvement before production rather than anything actually missing. Where did the pics you posted above come from? I don't have the box to check it, I had to ditch it in Denmark. My copy is the same, as shown when I reviewed it back in July. Very good spot! My box and instructions are the same as @Rano's - they have the 6 extra parts in place on there, but not in the bags. My order (placed last week) came from bol.com (which is in NL), wonder if Rano's did too (as he's Dutch) ? 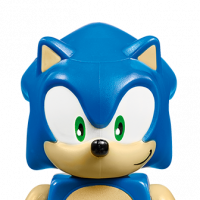 It does look like they already printed some boxes and manuals before deciding to ditch 6 parts and decided to just use them. Nobody thought of the errata sheet, I guess? 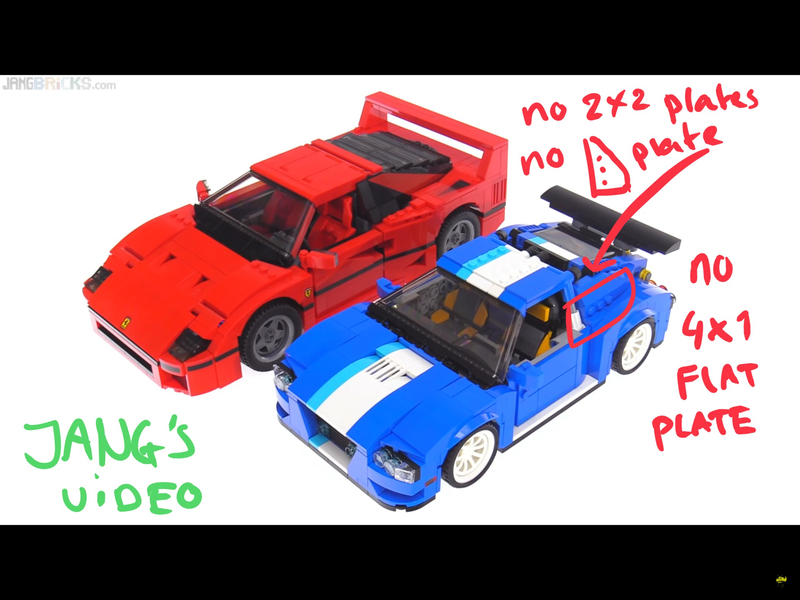 Now that I have the missing parts in hand, thanks Lego CS, I can tell why they changed the design. It's fairly hard to put the stuff in! 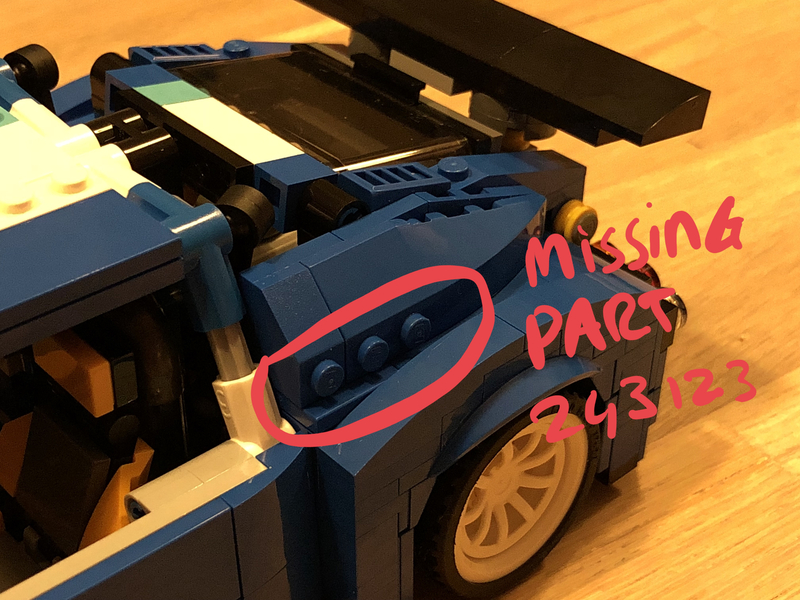 Of course this is after building the car, so the order will have mattered, but if one of these pieces let go, you'd need to disassemble some parts to get them to fit again. I like the Brickset Forum reflected in the window. Oops. Totally forgot this thread. Yes, I'm Dutch as well. I bought it at a toyshop, Intertoys or Bart Smit, can't really remember. I think you're right. 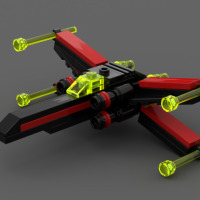 A last minute redesign because of the difficult placement of the parts. But weird that there are two versions of the box. I saw the "wrong" and "right" box together on a shelf at the Wijnegem Lego store. All other toy shops I've visited in Belgium had the "right" box. 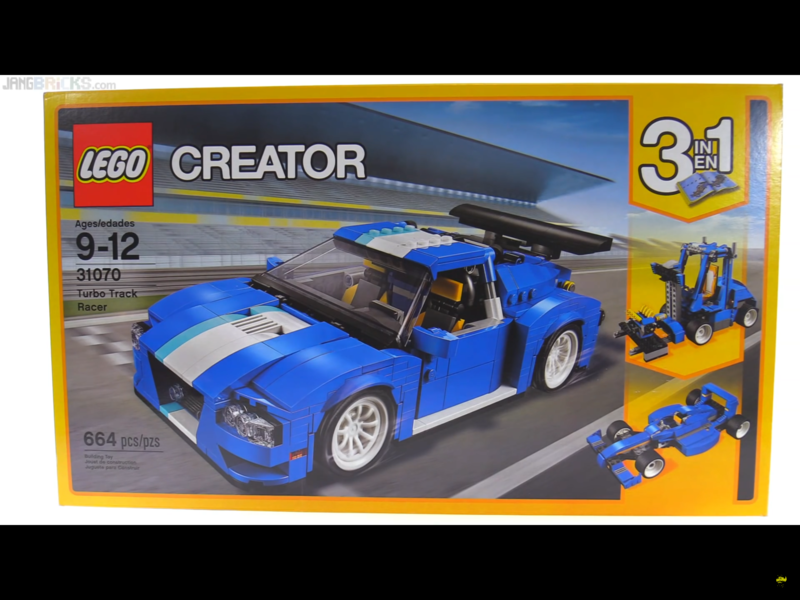 I noticed the error while building the set last night, so I went to look for the instruction booklet that I've downloaded on January 9, and the booklet have the name 6205716, this one is not available anymore on the LEGO site, now the booklet is number 6227247, like the one that came with my set. 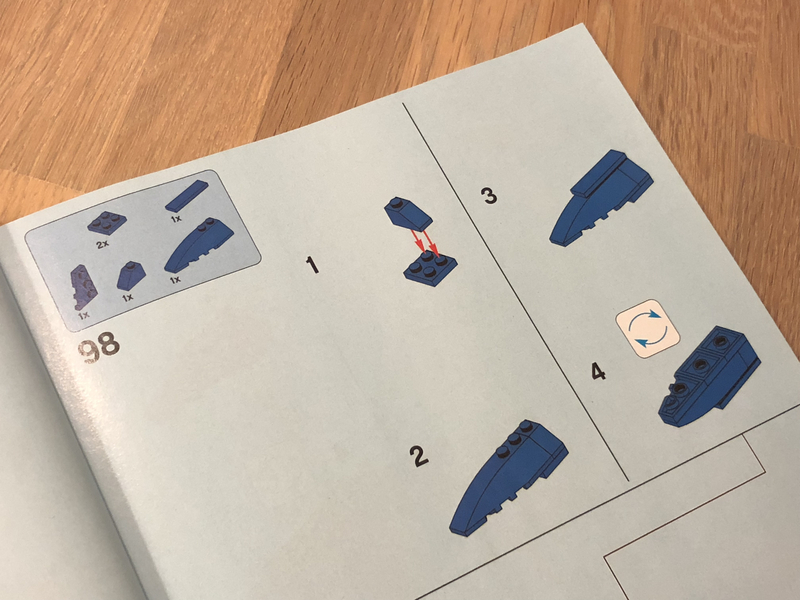 You can request the missing parts from Customer Service - however I'd advise to use phone or contact form to be sure they don't cancel your order, as the flat tiles are not part of the set in their idea, so you can't select them on the "missing pieces" site. 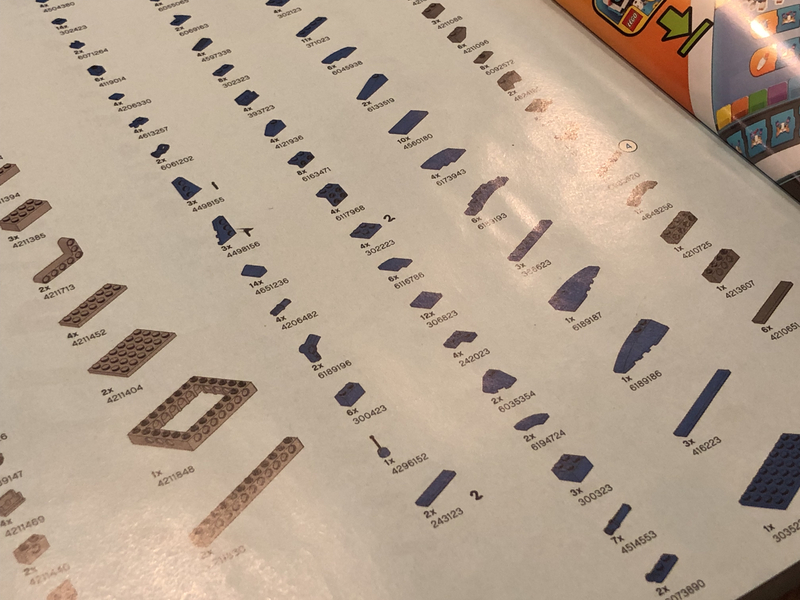 The set that is actually listed as the correct one, and with the inventory on LEGO site, is the one with the flat tile 1x4, so I was able to order all the 6 pieces that I need from Bricks and Pieces. Requested the missing 6 parts from CS. Due to their cue, they said it’ll take 3 weeks... and it’s shipping from Denmark. 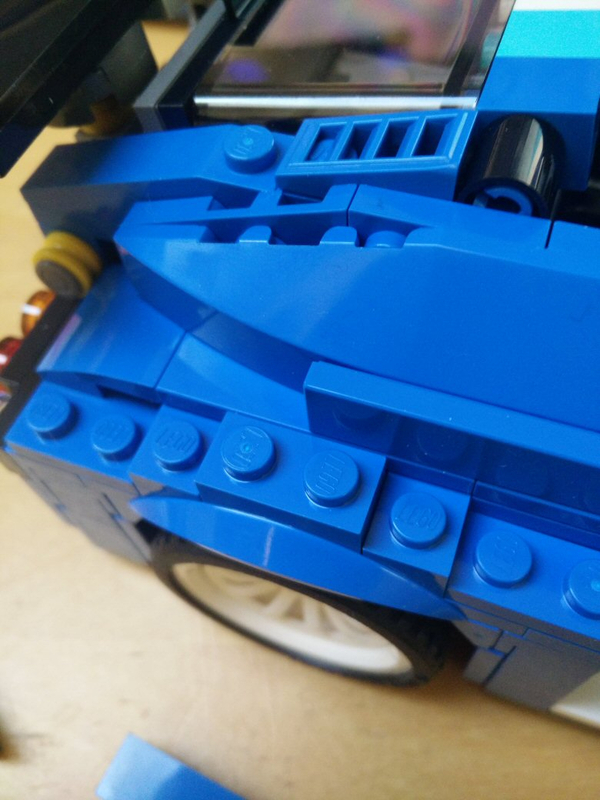 Parts came from LEGO about a week ago in good condition! Same issue here, old manual and box but new design. 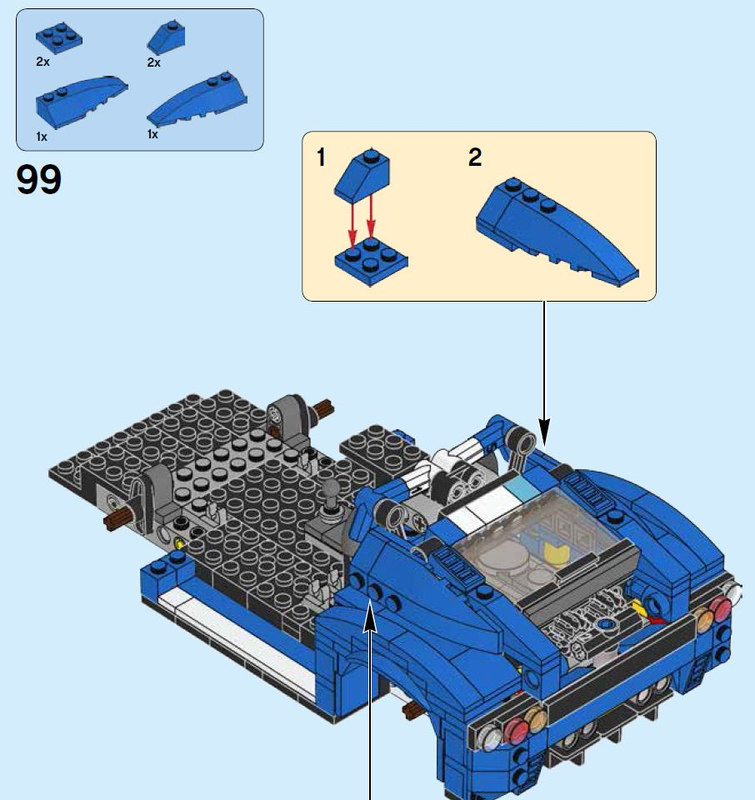 TIP, go to Lego site and download the 'V29' version of the manual (BI 3016, 240+4/65+200G, 31070 V29), here you will find the 'correct one'. Version V39 isn't fixed. Same issue here, I only try to download the "V39" version that may be printed on US standard letter size paper but, funny thing is that it is currently bad but if you try the "V29" version that may be printed on EU standard A4 paper (not that i want to print it) it's fixed. Sorry guys, I kind of lost the idea. I got same problem with 6 missing pieces and box and booklet showing them. 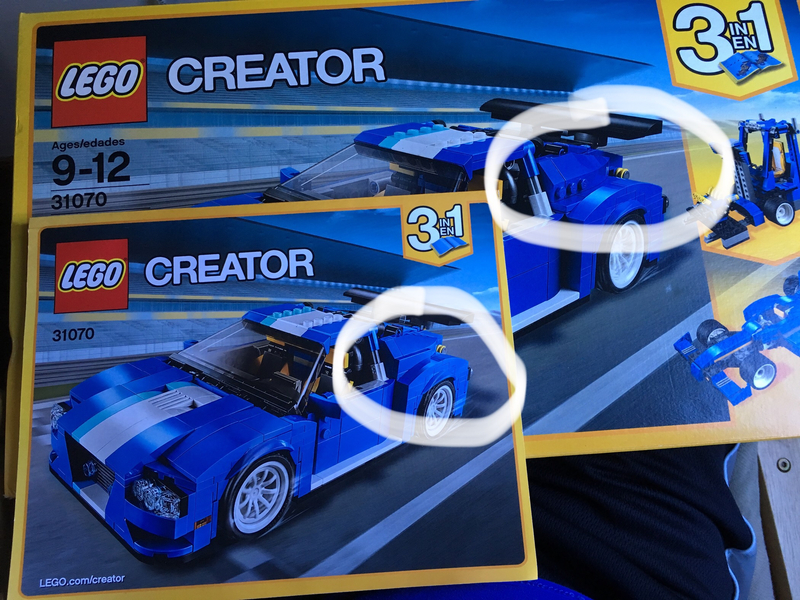 Do I need to claim from cs the parts or is the official set without them? Thanks inadvance.